There is absolutely nothing wrong with talking about injuries in yoga. I have this conversation regularly. I’ve been writing about some of the most common injuries for a number of years now. Many students specifically sign up to practice with me BECAUSE they have an injury and are trying to figure out how to practice appropriately. I’ve been a bodyworker since 1998. As a bodyworker specifically dealing with injuries and/or chronic pain has significantly informed my teaching. No, I’m not a doctor, but I am a damned good investigator with critical thinking skills. We often have extremely limited information about what has happened, much less a realistic amount of history on the student who was injured. Without this, we are simply throwing around our personal biases and opinions based on a small amount of data. Still, figuring out injuries and how they came about is not always simple. Knowing what corrective measures to take is also not simple. It’s a series of educated guesses which require a very broad base of information and experience to get it right more often than not. This leads us to the “injuries in yoga” conversation. When an injury is presented in an article or post in a general way, I think we have to be very careful about how we frame our thoughts and understanding about what is being posted. This is a problem because it is unlikely to lead us to the place that these well intended conversations are trying to take us. I’ll just assume that most of these conversations are trying to take us to a place of inquiry about why we practice, how we practice, and/or how to prevent injuries from happening in the future. All of these are great questions to ask ourselves. “Injuries in yoga” is all abuzz on social media. There is no doubt in my mind that generally raising awareness on this subject is positive. There is a sense in the yoga world that yoga is all healing, and therefore injuries either do not or should not happen. As a yoga community we are slowly but surely getting past this point. Let the conversation and awareness continue. The “injuries in yoga” conversation was set off globally a few years ago with the William Broad article that came out in the NY Times. Unfortunately, that article angered a lot of people in the community. Mostly because it seemed like the examples cited in the article were random, or not encompassing enough of the general experience of what asana has to offer. The latest conversations on social media are being initiated by Matthew Remski. I recently got sucked into the conversation myself. Psychologically and experientially we know that doing asana brings us great benefit. It seems that whenever someone takes a swipe at the totality of the experience with just one aspect of practice (in this case injury), many people shut off to it, rather than look more closely and learn from the discussion. The truth is, we are complex beings and I mean that across all levels of our being. The pathology of injuries is also complex. How much do we need to know about a specific injury to be able to come to a respectable level of certainty of why it happened so that we can then make choices that reduce the risk of it happening again? At some point we have to consider all of the factors that come together around an injury. It doesn’t make sense to isolate the injury. There are at least three things coming together. Being upright and on two legs creates a basic movement pattern. Includes proportions, tendencies toward flexibility, stiffness, and other dispositions. Who have we copied when we learned to move initially? Prior activities that we have explored deeply create neuromuscular patterns. Depending on circumstances, this could set us up for problems down the road. Covers things like; motivation, drive, approach, response, ability to focus, concentration, and objectivity. These influences on who we are make us that much more complex as we try to decipher what is going on when someone injures him or herself. These influences make us unique by themselves. We all have different histories. Of course, we are also a lot alike. Depending on your prior activities, you may or may not have the body awareness to classify sensations in the body. We all have different ways of experiencing sensations and some of us might call it pain. The sensation of stretching tissue to one person might be a good kind of pain, while a beginner might call that a bad pain. Our understanding of and relationship to the sensation seems to change our perception of whether it is good or bad. My friend, Mick Lawton created three categories for injury. Mick did the work for me on this one. Although I’m sure there is more to say on this aspect, this is a pretty good start for showing the complexity of injuries. 1. There is the immediate injury that comes about by simply pushing beyond your limits. 2. Triggering / aggravating a known or unknown weakness. “Now we could say that practicing with ‘mindfulness’ will help prevent (injury type 1). However, no matter how ‘mindful’ the practice, we could still get injured because of unknown weakness (injury type 2) or hidden long term weakness created by repetitive movements (injury type 3). The whole thing becomes extremely complicated because injury type 3 can have an impact on injury types 1 and 2. Injury type 2 can have an impact on injury type 1. What I deduce from the above is that practicing with ‘mindfulness’ is only going to go part of the way in reducing injuries in yoga practice. I will also add that just because an injury shows up in asana, it doesn’t mean that it was initiated by the asana. If your lower back hurts and you go to a doctor and they find a bulge or herniation of your disc, the assumption is often that it happened during the practice. How do they know it wasn’t there already and that the asana practice revealed the existing problem? I have seen this many times outside of the yoga world. Clients who started to exhibit pain in their back went for an MRI. The MRI revealed a disc issue. The assumption was then that the disc was the problem, and sometimes it was. But the only way to know for sure that it was the problem would be to have had an MRI from some time before the pain started to show itself. Injury and pain evolution is not as simple as we would like to think. Then, there is the asana itself, which is a complex series of movements done at varying speeds and/or intensities. The asanas themselves come with a potential for bringing about positive changes to tissue and neuromuscular patterning. They also have the possibility of solidifying or compounding existing imbalances. I believe there are a number of questions that we could ask about yoga asana in general that point out the complexity of injuries in yoga. Is it the repetitive nature? Is it how long you have been practicing for? Is it the amount of days of practice each week? is it your drive and motivation? Is it no teaching at all? Is it a lack of listening to yourself? When you mix all of these questions and factors together, your mind could start to go numb. How do we whittle this down into something graspable, measurable, systematized, organized, and reproducible? One clear problem I have seen over the years is students moving too quickly through the process of asanas. Too much too quickly can be a significant problem. This is partly to do with a student’s mentality about achieving an asana and pushing too fast or too hard. It is also partly to do with the model of teaching that we have set up. We need/want students to come back so we may fall into the trap of giving them more than they can handle so that they feel like they are progressing. This is an article in and of itself. In this lies the problem with the current conversations. It seems almost impossible to factor in all of the subtle aspects of “us”, “injuries”, and “asana” and the varying ways they can converge. Because we are talking about injuries in yoga we have to factor in what we are really talking about, which is a movement based approach to developing concentration, awareness, physical fitness, energetic stimulation and many other things. This approach absolutely has great potential to lead us further down the path of being more of who we are. There is a difference between yoga and asana. Asana is perhaps a technique of yoga practices, but asana itself is not necessarily yoga. We are doing asana in the west. Of course we should use what we know about the body, about injuries, about movement in both our practice and our teaching, especially if we are trying to avoid injuries in yoga practice. But that’s not the goal of asana, is it? Asana as a physical therapy tries to bring balance to the person and their physicality. Working with students in a therapeutic way is different than those who are intentionally using the asana as a tool of personal development. Of course, there is overlap between the two. But what if you don’t have any physical injuries that you’re trying to rehabilitate? Education in anatomy and/or biomechanics is certainly a starting place; however, knowing anatomy by itself isn’t really enough. What I’m getting at is that in this phase of the “yoga experiment”, it’s more important for us to be REALLY honest about what we know, and what we don’t know. I purposely refer to what is currently going on in the yoga world as a big experiment. I refer to it as an experiment because there is a proliferation of people doing yoga asana and yet we do NOT know what the outcome of that will truly be. It’s easy to say that we should simply apply western ideas of alignment or a western understanding of human movement. Why is there resistance to this? Maybe it’s me, I sense the resistance in myself and I love anatomy. How do we use what we know, without destroying the part that has attracted us to practicing asana in the first place? Why have we chosen yoga as a means to working with our body? I mean, at some point if we’re really talking about functional movement and fine tuning movements for the purpose of sculpting or balancing our body why even choose to do yoga? Why not go to a physical therapist or other movement therapist and work on balancing our body? At what point have we taken the yoga out of a yoga asana practice? My biggest issue with the current discussions going on is the desire to make things measurable and compartmentalized. I know, there is no way around this. We have to talk about the parts and pieces to some degree so that we can understand it all. The place where this happens regularly is in the mixing of yoga and asana as if they are the same thing. In other words, just because you can put your leg behind your head or do more advanced asana doesn’t mean you are a more advanced yogi. Mixing the two is often where people get upset, as if an injury is an affront to the yoga practice or as if by recognizing injuries in asana we are downplaying the larger idea of what yoga is. However, I do believe that this is where William Broad went off the rails with the yoga community. It’s not fair, nor realistic to take some type of rare injury and hold it up as an example of injuries in yoga without creating a context. Whether intentional or not, and I believe it is NOT intentional, it leads to the belief that people are injured like this all the time, when they’re not. People are getting injured in yoga asana. Of course they are, why does it seem that people are surprised by this? If you got injured in just about any other physical activity, no one would be surprised or shocked. But what are the actual numbers? While everyone is focused on the injury aspect of asana practice, what percentage of the practicing population is this? What classification of injury are we talking about? Are these minor strains and pulls? Are we talking about injuries that need surgery? Are we going to frame these conversations in a way that proves our point and leans toward our existing bias? Are we going to pull the injury out of context and parade it around as if everyone is about to have the same injury? Are we going to live in denial of injuries in yoga all together? Where are we going with this? What do we want from these conversations? I think as a community, we’d better figure this out. Regardless of your answer to the many questions raised, don’t shut down to the conversation as a whole. Remember that injuries don’t live in a vacuum and drawing conclusions from limited information is probably not helpful. BKS Iyengar, in Light on Life, says “pain is our guru”. Not something to be ignored, or frightened of, but there for one to pay attention to — it’s an opportunity for svadyaya – self study. Points 1, 2 , & 3 are consistent with what I see in my students (and in myself as well). I would also add that the klesas (ignorance, ego, desire, aversion, fear), as described in Sutras II.3 – 12 are insightful in understanding the causes of injury from the perspective of consciousness. As you so eloquently say, the practice of yoga is not just for the physical body, but for the energetic, mental, emotional and spiritual aspects. So, understanding the “cause” of injury can include these other elements as well. Thank you for commenting and adding your thoughts. There are many ways to look at injuries and many factors that tie into it. You have added on some good ones here and from a reputable source. Of course, we should avoid injuries and certainly not seek them out. If they do come, then what to do but see the opportunity for understanding and self reflection. I’d like to further add some thoughts. Firstly, Mr Keil, I’d like to thank you for mentioning me in this article. As you rightly point out, I did do some of the work for you on this one – therefore the coffee we discussed is on you!!!!!!!! Joking aside I’d like to add that the practice of Asana has been extremely healing in my case. As some of you know, I carry the burden of a genetic disease. This has resulted in over 25 operations to the knees. Through my asana practice, I have managed to minimise the damage caused by this disease. I have regained flexion when the odds where stacked against me. Ok – I hear you say. Any form of physiotherapy would achieve the same result. What makes asana practice that different from exercise the physio might give you? My asana practice is determined by the first two limbs of the Ashtanga system. Yama and Niyama. This requires going very, very deep. You will unearth things about yourself you don’t like. You have to be completely honest and one hundred percent vigilant. READ the above, Then re read it. Then read it again. Then apply it to your asana practice and your life. The Yamas are often interpreted as “how we behave towards others.” I would argue that you first need to apply these to yourself before you can apply to other people. Svadhyaya – Self study. Study of the scriptures. Again, in my option it as absolutely crucial that you apply the Niyamas to your asana practice. Yes, I think injury in yoga is unavoidable. It’s going to happen, for the reasons I mentioned in the main body of David’s article. However, I firmly believe that if both teacher and practitioner practice the first two limbs with complete sincerity, then the incidences of injury will decline. I will add more to this later. Thanks for adding on. By the way, coffee is definitely on me as long as you never call me Mr. Keil again! Very insightful article. Thanks for bringing up so many different aspects of this issue of injury in yoga. So many factors contribute to most injuries unless it is an acute or a sudden impact injury. One question that I do have is about the extreme hip positions of leg behind the head and lotus pose and their effect on the knees and hip stability over time. How can you know if your femor head and hip socket are meant to be in that position or if even patiently stretching the muscles over time will also over stretch the tendons and ligaments of the hips creating hip instability? It seems to me likely that some people are just not meant to be in those poses. Perhaps Diane Bruni is one of them. I think I might be one of them as well But without a hip xray how would you know if that pose is meant for you? Of course pain is your guide but as I said if you gradually do a lot of hip openers like Diane it still could cause problems. You bring up a good question. Each of us may have to determine what is appropriate for our own body depending on our own anatomy. This is true until we can see under the skin very easily and see if you are in fact hitting bone on bone, or if the shape will cause you to overstretch ligaments and as you say, create instability long term. They are hard questions to answer and I certainly don’t have a definitive one for you or for Diane Bruni. I would suggest that her injury is the first of that type that I have ever heard of and is atypical to yoga practice. I would guess that if we looked deeper we may find a hip joint shape that did not lend itself to external rotation, but I really can’t say for sure. Certainly possible. Maybe it’s worth an x-ray? Yoga can heal all diseases or bring them about if practiced incorrectly. I have been practicing yoga (mostly asanas, some pranayma and meditation) nearly every day for seven years, and happily have not had any serious injuries due to asana practice. A bit of a knee twinge appeared, and seemed to be related to warrior poses, even though I was always careful about not extending the knee beyond the ankle. This issue disappeared when I broke and dislocated by right shoulder on December 31 last year, falling downstairs, putting a sudden end to my ability to practice as I did before. Although it was a horrible experience, the accident did have its fortuitous side. Forced to stop, I could only sit in lotus or another comfortable position. The focus switched from asana to pranayama and meditation, as well as pawanmuktasana. I did what I could to keep my right arm mobile, supporting it during gentle pawanmuktasana movements. I started the physiotherapy 3 weeks after the injury, and in time added asanas, starting with child’s pose. I worked with my physiotherapist, who helped me adjust specific asanas for the greatest benefit. Only six months after the accident, my arm – though still weak, is nearly back to normal. My physiotherapist described himself as “shockingly impressed”. I myself can still hardly believe it. Since I was unable to follow my usual yoga videos, the injury forced me to liberate myself from that support, which allowed me to discover patterns suited to my body and ability. The change from the usual must have been refreshing, as I soon discovered that my hips were suddenly remarkably more open than they had ever been, and this from doing nothing with them at all beyond wide legged child pose. To me, this clearly illustrated that we really and truly do not need to do any advanced poses, and we might get more benefit from doing less. By doing less, there is a reduced chance of injury. So I do agree that the urge to perform may be a leading cause of injury, or a hindrance to openness. Thank you for adding to the conversation. It is always great to hear the stories of people using yoga as part of a regime to help themselves heal from injuries. I do agree that there is an element of excess that can show up in an asana practice. By doing less, there is a reduced chance of injury is absolutely true. Of course, this logic has its limitations, we obviously wouldn’t lock ourselves in a closet so that we don’t move too much for the purpose of reducing risk. Of course I am exaggerating but the question then becomes, what is the healthy middle ground and amount of movement that challenges us and our tissues while also being relatively safe? Who determines this for each individual body. Good Stuff… thanks again for sharing. I have treated a lot of injuries over the years….one sub-group would be the “chemical” pain types. Due to dietary and hormonal changes joint tissues become dehydrated and acidic. This causes weakness and vulnerability in the joint and tendons making them more susceptible to injury (especially the over stretching, repetitive use type). This condition will also increase sensory pain around injured areas, making it difficult to treat unless it is addressed dietarily or herbally……..In these instances along with the standard type injuries, whether they are caused by yoga or aggravated by it, I usually recommend abstaining from stretching and doing an exercise that utilizes slow mindful range of motion movement in the joint (like tai chi, or qigong) along with dietary modifications and herbal therapy. Thank you for adding in your perspective. Of course, I did leave out diet and nutrition in my many lists and questions but ABSOLUTELY another factor that can increase the probability of injury. I would think that for something to be powerful enough to heal us, that it would certainly contain the potential to harm us as well. I could give you a plastic knife to reduce your risk of injury but it is not going to help you cut a watermelon. Asana is very powerful and must be undertaken with reverence. Being upright on two legs is how we need to approach asana and certainly the method in my experience is the main cause of yoga injuries. The human body is designed in curves and we move in a spiraling fashion. Many yoga poses are linear compartmentalized positions that do not translate to ‘being upright well on two legs. I certainly appreciate your excellent efforts to educate yogis in anatomy. There is no doubt that many teachers are lacking education in anatomy and biomechanics but what I see is the lack of understanding of the big global anatomical picture. How it all works together is what is most important and much of yoga asana is based on stretching or toning parts of the body oftentimes in static positions that do not relate to the incredibly complex actions that occur in movement. I am Michaelle Edwards, the woman William Broad quoted in his last article about women’s hips and flexibility. The injuries are just the tip of the iceberg and we do need to reevaluate everything we are doing in asana. Even so called gentle poses like childs pose puts a huge flexion stress on the spine and also loosens the necessary tension in the posterior ligaments needed to keep us upright. There is a huge compartmentalization of the human body in many yoga asanas when what is needed most in our western society is to find the middle, to find neutral posture and strengthen the forces that keep us there. Pose alignment and postural alignment are two very different approaches to yoga asana. As I am writing this, I see a photo on the left of a man doing crow pose. As I look at the positions his body is in, I see a hyperextended neck and extreme flexion of the lumbar spine and wrist joint. How does this contribute to real life function and a favorable outcome? The injures are occurring because many yoga poses are based on linear positions that override natural functions. Imagine the man in crow pose trying to be upright in that position. Asana will stop injuring people when we stop pushing our joints beyond natural functions and relate our asana practice to real life movement. I have a website called http://www.yogainjuries.com where people injured from asana are taking a survey. I will share it soon and I hope if anyone reading this has had a yoga injury, please consider taking the survey. I receive dozens of letter every week from people all over the world who have seriously damaged their joints doing poses that override our natural design functions. We do not have to suffer to feel good. I always appreciate your responses… however, I find your position rather extreme. “Being upright on two legs is how we need to approach asana” ? I’m really not sure what you mean by that or what you mean by “strengthen forces that keep us there” referring to neutral. You seem to be suggesting that we as humans only do a very limited range of motion…. even though our bodies are easily capable of more. I would disagree with your assertion that yoga asana are all compartmentalized. It’s neither how I see it, nor how I teach it and most practitioners I know don’t think of that way either. I’m not sure where you’re finding that as a consensus of how postures are derived. The crow pose you refer to wasn’t just born in an afternoon. Lot’s of time and effort to create the strength and flexibility happened over time so that it would not be injurious. Finally… If you have a domain name called yogainjuries.com… you’re probably going to have a lot of visitors who have injuries in yoga. How are you accounting for those people who spend years on the mat and have no injuries? You seem to go so strongly against yoga, I’m not sure why you use the word in the naming of your method? One does not need to do asana to be a yogi but certainly most people say I am ‘doing’ yoga . Yoga is a way of life and a philosophy of living in compassion towards self and others. Yogic philosophy speaks of seeking the middle path and I am finding that the middle path in yoga asana is being strong and centered. A huge majority of people age by going forward and I see people pushing their chest to straight knees and it resembles the alignment of aging poorly. Most yoga asana styles have been brought forth by men who do not have the open female pelvic structure as well as more relaxin and elastin in our ligaments. Taking joints to extreme ranges of motion breaks down collagen bonds needed for upright alignment. Women get 80. Percent of all the hip surgeries and we have less testosterone and our muscles break down quickly. We need hip stabilization and many asana poses are done passively without muscle effort especially to those who are flexible. Just like ballerinas and gymnasts., older yogis will suffer in the years to come from the lack of tight strong ligaments. Check out the work if Stuart McGill, spine specialist who has done the research on the torque and compression loads generated by straight knee toe touching. I am sure that it does take expertise to perform crow without injury but please tell me how it benefits the spine to flex it while putting the weight of your body on your wrist joint. We would say someone was slouching if we sat with our spine flexed that way. When I say upright alignment, I mean that is the most important position we need for a healthy life. Well, we agree that one does not need to do asana to be a yogi. I think I might have alluded to this in the article itself. I still don’t follow your logic, because a forward bend to straight knees resembles aging poorly, it means that if we do that with our body when we’re 20 or 30 or 40 that we are aging poorly? Or are you suggesting that it leads us there more quickly? Sorry, I just don’t agree with that logic. I do agree that extreme flexibility done repeatedly, without the balance of strength is much more likely to lead to joint instability later in life. I talk about this regularly in my classes. What I am talking about in this article, is a conversation that is balanced and accounts for the variety of parts that can and do lead to injury in yoga. I am also calling for a balanced recognition of the benefits of performing asana that go beyond the physicality. What I am trying to avoid is that we get so focused on a particular aspect and are then blinded to the many wonderful benefits that so many people do get from their practice. We don’t have to agree on everything. The point of the article is to try… yes, try, to bring the two sides of this argument to a place where they can actually listen to each other. If I am in denial of injuries in yoga then the other side is going to dismiss me. If all I talk about is doom and gloom and how everyone is doing it wrong and how everyone is injuring themselves, and my experience is feeling good and growing on many levels, chances are the other side is going to dismiss me. Where is the middle and where is the bridge between the sides of the conversation? It is not good when people are injured. I think we all agree on this. Michaelle Edwards, I echo you. Your comments are very wise. thank you for this article,is just shredding the layer of hate related to the topic and is enlightening the bigger picture : why do we choose yoga in through first place and why we decide of going against it thinking that our western approach could make it “better”? we get injuries all the time doing the simplest movement but we are not going to rave about them accusing the activity we were doing.somehow this happen with yoga and seem to me there’s a lot of hate and a lot of challenge. injury are hard,I just got an injury yesterday and the first thing I honestly though was : omg I will never get a new asana for god know ho long!because yes that is what most of us want and when this doesn’t happen and our body claim back an inner look we blame yoga. injury are yoga too,I believe that is being able to slow Down and feel the practice again focusing on what is happening inside instead of what need to happen in the asana that is real yoga. During movement . Also except vinyasa, much of yoga asana is static body positions. I created YogAlign at the request of my body’s natural intelligence and it said I am not designed to move this way. Check out the work of Kathleen Porter on natural posture solutions. I certainly agree with you that people don’t report injuries and no one is particularly tracking yoga injuries. I would ask, why people don’t report them… My guess is that the vast majority of them are considered minor by the people who have had them that the benefits that they receive from their asana practice so far out weigh the injury that they let their body heal and move on. I have absolutely no data to support this, just based on what I hear from students that I meet through my workshops and travel. That is not to say that I think it is a good thing, just what seems to be happening. In terms of sitting… absolutely agree that there are a large number of issues that come about as a result of how we sit and for the extended period of time that the average person is in the chair. But as for rounding the spine… by itself this isn’t necessarily a problem. I mean, our spine is designed to move into flexion. Of course, stretching your sacral ligaments is not a good idea, but how does one stretch the tissues of the posterior spine if not by rounding the spine? I almost get the sense that you are saying that we should not do that, and you are more inclined to say that we should be strengthening them. But that’s very generalized. Certainly a balance of strength and flexibility of tissue is commonly accepted as generally good and makes for healthy tissue. None of this is to say that someone should overload these tissues, or overload their spine or sacral ligaments. From my point of view… the most common reason the spine rounds to such a degree, especially in forward bends is because of tight hamstrings. Which leads to your next point. I’m not sure who is suggesting that we walk around with straight knees. I don’t think you would get an argument from anyone about the importance of knee bending especially while walking. It is also commonly accepted to do so when bending over to pick something up and I agree and do tell my students to bend their knees during the act of both folding forward and standing back up. However, I have found that being in a forward bend with bent knees can cause other trouble, such as focusing the stretch of the hamstrings on the sit-bone end. Not always, and specific instructions can reduce that. I also find that many people have weak tissues because they are short and tight. I see this all the time with the psoas for instance. People are told they have a weak core and need to strengthen their psoas. I palpate and it’s hard as a rock! So, it’s not weak because of tension… why is it weak? because there is in fact too much tension in it. In that case, I get them to lengthen it and restore balance. More often than not with good results… event though the PHYSIO told them it was weak because it tested weak. For the purposes of a conversation around injuries in yoga. I’m asking everyone to question their assumptions. How do you account for all the people who forward bend with a rounded spine who do NOT injure their SI? How do we determine who can get away with that and who cannot? Also, the person who is hyperextending their neck in the bakasana, may be balancing out tension in the front of their neck from looking down at their iphone, ipad, and computer… lengthening SCM and scalenes. Hyperextending the wrists for that person in the picture may also be undoing tension in the flexors of the forearms from the very same activities. There are lots of reasons to go to the edge of our range of motion… how else do we lengthen tissue in a healthy way? Thank you for your patience and input. If we consider there is no real end to the hamstrings since the tissue just differentiates into the sacrotuberous ligament and connects right to the muscles and fascia of the posterior body over the skull to the eyebrows, Then what are we pulling on? In the world of fascia which is the major determinant of our movement patterns, the plantar fascia of our feet connect in a line of pull all the way to our eyebrows. Humans age going forward and the extensor forces of the back body get exhausted from trying to balance the flexors in the front shortened from chair sitting, forward bend stretching stress and sit-ups. Our spine has huge pressure loads when we bend with the knees straight and although people may not feel it now, those years of forward bends breaks down the collagen bonds of the necessary ligament tension. Women are more at risk because we have more elastin and relaxin, It has been my experience that hamstrings yes are tense but not tight. Our body is a continuum held together by a balance of tensile forces and trying to stretch parts is a band-aid just like massaging a tense IT band will not change why it feels sore. When the body is out of alignment, We feel sore because muscles are performing jobs they are not designed for and fascia will lay down more substance in response to the localized stress. Pulling on muscles will not change their shape because it’s the nervous system that controls the big postural software. No animal needs to stretch for hours like humans. I talk about walking with knees straight to help people see the blind spot of bending with knees straight. It is like driving with the brakes on in a car. So what is getting stretched since muscles cannot physiologically be pulled on to change it’s resting length is the ligaments. Have you read Charlotte Bell,s posts about why yogis need to stop stretching ligaments? What I am most excited about is the posture shifting from YogAlign. Have you checked out what we are doing? , it’s a paradigm shift and It am sharing it with anyone who wants to consider that the human body has no parts and is strung together like an instrument and putting it in positions that do not simulate movement and trying to stretch the parts is a compartmentalized approach to finding balance and the middle path in asana,. The body does not lie. Who gets hip replacements? Mostly women and a big reason is laxity in the hip joint . Michaelle. Just having had a quick look at your website and your survey concerning yoga injuries. I notice that there is no box to tick to say that you have not experienced any injuries?! I’m assuming this is an oversight, or is deliberate in order to paint a picture that supports your method? Surely a more accurate picture would be portrayed if this “not been injured doing yoga” box was included. Simply playing devils advocate here. I do agree with some but not all the points you have made. I would be interested to hear how you actually diagnose “stretched sacral and posterior ligaments of the spine.” You seem to be seeing a large number of these injuries, by your account, and I would like to know how you quantify such an injury. Sciatica is a different condition (with multiple possible causes) from stretched sacral and posterior ligaments. Why do you mention these two conditions together? SI joint pain, which can have a variety of causes is quite different from sciatica. Part of the reason I would like to know how you diagnose such specific conditions–with an apparently incidence–is that I think you need to be sure your diagnosis is accurate. Moreover, Broad’s article on flexibility etc was, in my opinion, a “shotgun approach”. Femoral-acetabular impingement, as a cause for hip arthritis is still very much being defined within orthopedics. Without going into details, bending the knees actually allows the hips to flex to a greater degree by releasing the hamstrings. So, by your logic in Broad’s article, you would actually be exposing the hip joint to greater risk of impingement with your method. Indeed, one of the first symptoms for folks with FAI is hip pain while seated (with knees bent), like in a car. Mainly, however, I think it’s important that diagnostics be accurate when discussing potential injuries. If the diagnosis is not accurate, then the management and prevention rationale is also spurious. I really support a discussion of injuries, however, for it to be productive it must be based on some science. If you are representing known medical diagnoses, such as stretched ligaments around the spine, please state your diagnostic method. Everything is based on that. The hamstrings contract to flex or bend the knee . Keeping the knees straight or extended inhibits the hamstrings. The reason that sitting causes more hip pain is that the knees need to be lower than the hips when sitting. . When knees are at the same level or come higher than hips, flexors engage and hamstrings and back extensors are inhibited. Most people have weak stressed hamstrings that are locked long. Just because hamstrings feel tight does not mean pulling or stretching on them will change their length. The nervous system controls muscle tension. Stretching is really a myth because pulling on a muscle will not change it’s resting length. Hamstrings are tense in most but not tight. I have to agree, the standards and the industry as a whole is definitely a contributing factor. I will try to gather the “additional” components that people feel lead to injury and put them at the bottom of the article when I get a chance. Thank you for your contribution to the conversation! Michaelle Edwards has developed a program which is sustainable because it honors the body’s natural functions. After 40 years of experience practicing and teaching yoga, I have found YogAlign to be an effective biomechanically sound approach to a physical practice. Practicing YogAlign has eliminated aches and pains in my knees, hamstrings and SI joint, which were a direct result of practicing asanas that were overstretching these joints. Additionally, my chronic neck and shoulder tension has been relieved, my posture has improved and my inner core strength is greatly increased. Eliminating hyper-flexibility positions and stabilizing my joints has translated into better performance in activities like biking, hiking and tennis. I highly recommend YogAlign and teach these techniques. Students in my classes have joined me in this transformation and have reported joint pain relief, more strength, better balance, and increased energy. I have no doubts about Michaelle’s contribution. Thanks for reminding us and glad you have such great results with her system. Thank you for such a great article. I enjoyed reading the discussion after the article. I also experiencing knee injury, and I believe it’s from incorrect repetitive movement. Though teachers often say be mindful and know your capacity, the problems for practionners are that, though now aware we are, we are either insensitive to paid or lack ability to identify if this is the right pain or good pain. Even we are not in pain (yet), we assume that the pain we have is good pain and keep doing that movement till it causes injury. There is a also a case where we back off from the assumed bad pain because we are afraid of getting injured, but turns out that we get too complacent in the pose rather than moving to the next level. How will we know our intelligence gives us the right action? Our daily postures, how we sit, walk, work, also play a role in the injuries. But at the end of the day, this is part of yoga. It’s the practice of the mind and intelligence through your body. No matter how much teachers can guide you lots about asana from anatomical point of view, yoga is the path you individually walk to experience the fruits of it. I find your website and articles extremely good and helpful, and these comments about injury in yoga well thought through. I would be interested in your comments regarding the role of the breath in optimising (with an ‘s’, this is coming from the UK!!) the potential of yoga postures, and in working safely with them. In the tradition of Krishnamacarya / Desikachar (in which I was trained and practise), the role of the breath is key in guiding movement / posture and making us aware of how far we can go / what our limits are. Respiration may not be a structural aspect of physiology, but its intelligent use to support posture has a huge impact upon safe and effective practice. 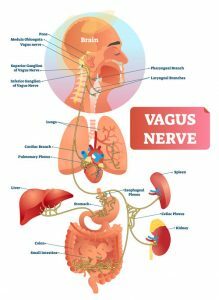 There are many positive effects from breath and although it is a very good guide for moving into and out of posture, I’m not sure of any direct relationships. This may simply be the case, because the experience is subjective and hard to measure relationship between breath, movement, and especially to injury. 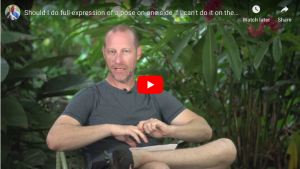 I would say that holding the breath can be an indication of strain at times, however, from the Krishnamacharya lineage, you also use holding the breath for positive structural reasons as well. Again… hard to measure the effects. Just love all the information. I have been a massage therapist for 25 years. Reading all this Information inspires me and also scares me. I see now I have a long journey in front of me. Small classes and privates are a great starting place Kris. Sounds like you’re moving in the right direction. Hi Cheryl, I have found applying Kumbhaka during asana to have many beneficial effects. However, like David says, you have to make sure your holding the breath for the right reasons. Krishnamacharya advocated applying Kumbhakas in many asanas. I would say that one shouldn’t attempt to apply Kumbhaka to an asana until you have developed a fair degree of control with that particular asana. The breathing needs to be deep and free before you attempt to apply Kumbhakas. Also, the kumbkakas should be relatively short. Start with 2 seconds and then over time you can slowly increase. What I’ve experienced by employing Kumbhaka during asana is to extensive to describe here. I do believe it has been extremely beneficial in my healing. (I have rare genetic auto inflammatory disease that results in periodic flares) What I will say, is that the Kumbhaka, especially rechaka Kumbhaka, tells me a lot about my current state of health. It’s during the rechaka Kumbhaka that I can tune into the prana. I’m convinced from my own experiences that the quality of the Kumbhaka tells you so much about your present health. Especially rechaka Kumbhaka. You just need to learn to tune into it. I don’t just use the Kumbhaka during practice because I believe it aids healing, I use it because it tells me how to practice. The Kumbhaka dictates the practice. It’s my opinion the reason I no longer ever ache after practice is because I can, to some degree, judge my internal physiology by the quality of my Kumbhaka. I wish I could explain it better. It’s like having your own personal physician, but on the inside. That’s my experience anyway. For what’s it’s worth!!! Which is probably not a lot!!!! ps – all the contraindications that apply to pranayama equally apply if using Kumbhaka during asana. As a practitioner, you can never cover yourself for all injuries that may occur. However, I do believe that you can practice in ways that will decrease the odds of injury occurring. People often say, you must be “mindful” in practice to avoid injury. Off course, being mindful might not prevent a slow destabilisation occurring over many years. Not hyperventilating – hyperventilating is usually a sure sign of pushing yourself beyond present capabilities. I also believe you can’t listen to your bodies messages if your hyperventilating. I also believe it goes against the fundamental point of a yoga practice!!! Not pushing yourself to the limit every time you practice. The body needs to repair. I often do practices where I’m only going to 75 percent of ability. Don’t be going to extreme ranges of motion every day. Practice according to the time you have. If you only have 45 mins don’t rush your practice to try and finish. Modify your practice and allow time for the body to cool down at the end. Learn some anatomy and physiology. Sounds obvious but it can really help to avoid injury! Take the ambition out of your practice. Putting you leg behind you head does not a yogi make! Practice without expectations. Allow time for pranayama and meditation. Yoga without meditation is only a small part of the picture. Practice for yourself!!! Don’t practice to please your teacher or anybody else in the studio / Shala! Enjoy it. It shouldn’t be a noose hanging round you neck that can only be removed by being given the next posture. Don’t ignore pain because you think doing yoga shouldn’t cause pain. If your experiencing pain talk to your teacher. If he / she gives you an unsatisfactory answer – find another teacher! These things have helped me avoid injury. Good discussion. I would add that, with an aging population practicing yoga, many of us are going to have problems that could be ascribed to the third category which have nothing to do with the practice of yoga. The most common would be arthritis (osteoarthritis). This could be easily attributed to repetitive stress injury, however, that may have nothing to do with the actual cause, which depending on the joint, is multifactorial. Great article and discussion David. I don’t wish to make many comments on Michaelle’s study per se as she has cited medical reasons some of which I don’t comprehend with! If we go that minutely in the study of how our body works then most of the stuff that we do and practice in sports, which is the basis of becoming Olympic or world champions, is wrong. Coming from a fitness background I mix various cardio and plyometric exercises, that look completely in contrast to yoga, with YOGA to make a bespoke training program for an athlete. Therefore my submission to that discussion is that it all depends on ones body – alignment of muscles, strength, mind set, target and desire; that describes the benefits of a posture to an individual. For some it might suit to do forward bend with straight knees in compare to the other where bend knees are recommended due to the situation with their hamstrings or back. Therefore to conclude that only one out of the two is correct will be wrong. Most of us will agree that if we go through what they call YogAlign a few times before getting into the practice; I bet all of us will find the benefits of doing postures in a particular way. Why? Because our mind tells us that it is beneficial. And of course, the ideas in it haven’t originated out of random thoughts and instead they are well researched. Having said that the practice of yoga is also some thousand years old and needless to say it originated after years (1000’s) of research and practice. Coming back to the subject of injury: one point that I would like to make is the insistence of yoga teachers to get into postures unnecessarily sometimes could also result in aggravating an injury. For example: why do we have to get into sitting forward bends at all in case of lower back pain or herniated disc? Why cant we restrict to back bends, lunges and other ways to open/stretch our hamstrings depending on ones condition and avoid sitting forward bends completely? The only reason I could think of is the lack of teachers knowledge of anatomy or physiology restrict their knowledge of asanas and thereby limits them to a standard flow (of postures) of class. A more open approach perhaps is the need of the hour. Even if the individual (the one who has injury) is a part of a big class; he/she can be asked to relax in shavasana while others complete their sitting bends sequence. Its not a bad idea to suggest them one to one session for few days before they can be a part of big class so that they can mend their ways in case of certain postures. Great article on insight to injury David! “At what point have we taken the yoga out of a yoga asana practice”? Great question!!! Most people who come to the mat are only there for physical benefits. How much do we really know about yoga? What is yoga? It’s been dumbed down to stretching hamstrings, etc. Because of this mindset, it’s easy to see why an injury may occur during practice. Ego’s, eagerness, and the end goal have a tendency to get in the way of a mindful practice. Mindfulness is a key player when doing asana practice as it should be in any physical activity. It’s not always an easy one to grasp in the beginning though. Although it doesn’t matter what stage you are in your physical practice. Where are you in your mental, emotional and spiritual practice? When these all come together as one, then yoga is really being practiced. Then the question is, how do we bring all of these aspects together? I believe that this is something that comes with practice. From a personal perspective, I’ve suffered many injuries on and off the mat. Did it stop me from doing yoga? NO! It made me re-evaluate myself and my life or as you would like to say “converging histories”. The Ashtanga method of yoga has made me understand what practicing yoga really is as a whole. This goes back to your question I quoted above. I’ve had to relearn the practice all over again with a beginners mindset, so I could better understand how my body works in this series of asanas. Injuries have helped me to be a more knowledgable teacher. As much as we hate to admit it, injuries can be really great teachers! They teach us about how we adapt to change and accepting what is. I’m not saying go out there and purposely injure yourself so you can learn about your body/Self. Don’t be ignorant and blame Yoga. Learn from it.